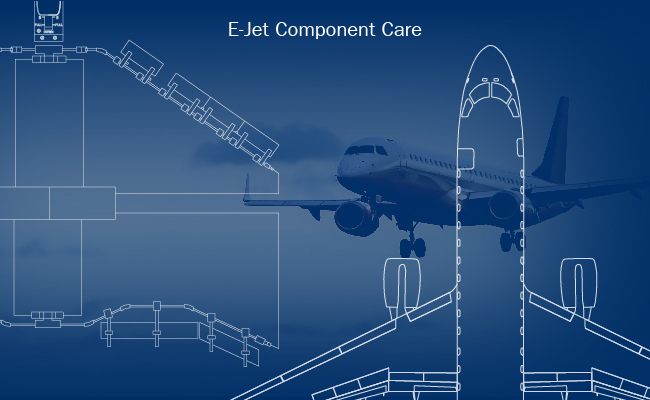 Spairliners offers Integrated Component Care programs that guarantee component availability for E-Jet fleets with cost-efficiency and tailored to individual needs. Our solutions provide you with the important benefits of independent repair shops locally situated in the Americas and Europe and the extensive experience of market-leading airline MROs in the E-Jet aftermarket business. With our integrated services and affiliated network you benefit from an increasing scope of local in-house repair capabilities and assets as well as competitive turn-around-times. Regardless of the request — we provide you with a reliable service and deliver maximum component availability, at competitive prices to keep your aircraft flying.